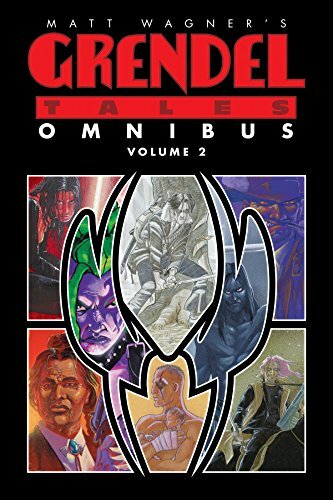 Featuring some of the best writers and artists in the industry and never-before-collected material, Grendel Tales Omnibus Volume 2 is sure to be a hit with longtime Grendel fans or newcomers just discovering Wagner's weird, violent future. From the imaginative mind of Matt Wagner, the world of Grendel returns in this second of two value-priced volumes collecting all Grendel Tales stories! With over 400 pages of story and art to enjoy and all cover work reproduced, Dark Horse is proud to present some early work by Steve Lieber, Dave Cooper, Peter Doherty and Matt Hollingsworth in this Grendel Tales Omnibus collection! View More In How To Create Comics & Manga. If you have any questions about this product by Dark Horse Books, contact us by completing and submitting the form below. If you are looking for a specif part number, please include it with your message.